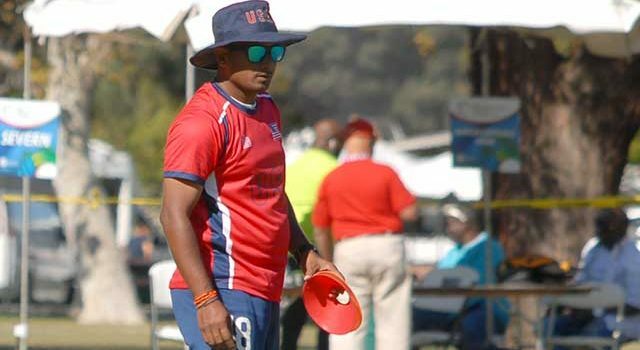 USAcricketers.com recently spoke with newly appointed USA Cricket Under-19 Head Coach Anand Tummala about his approach to coaching, his goals, and Team USA Senior Men’s chances in the upcoming ICC WCL Division 2 series in Namibia. Q. What is your mantra on coaching? A. I feel it’s essential for me to remember (as a coach) – it’s all about the players and not me. In a team setting or in group/one-on-one coaching sessions, it’s imperative to make the sessions fun, enjoyable yet challenging (depending on the age group of the cricketers), helping them develop their natural instincts. 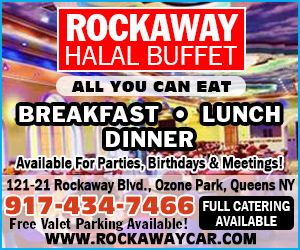 While going about this, I must remember, we all have a child within us and a responsible adult, we must cater to both. Further, I firmly believe in the development of fellow coaches/support staff, and I do my best to contribute via coach education and mentoring (whenever possible) so that the coaching structures become stronger within the National set up and where ever I get a chance overseas. Q. What are some of the challenges you anticipate as USA Under-19 coach? A. It is indeed an honor to be part of USA Cricket, and I would like to thank USA Cricket for appointing me to this prestigious and challenging role as Team USA’s Under-19 Head Coach. The immediate goal we have is to win the ICC Americas Under-19 Regional (Americas) Qualifiers this summer and qualify for the Under-19 World Cup in January-February of 2020 in South Africa. Getting decent match practice as a Team and foster a winning team culture that we envision are the two immediate challenges within the limited time. However, we have a well thought out (workable and practical) plan in place to overcome those challenges. Q. Can you tell our readers about your qualifications as a coach? A. While I was doing my Masters in the UK (2005-07), I received my Level 1 and Level 2 coaching certifications from the England & Wales Cricket Board in 2005 and 2006 respectively. I was Senior Coach and Overseas Player in the South Wales Premier League in Gwent, Glamorgan. I was also part of the ‘Chance to Shine’ cricket program in 2006 in South Wales, The Gwent program was run by the England & Wales Cricket Board. Since I moved to the USA in 2007, I have been involved in Youth Cricket, and earning my Level 3 coaching certification from Cricket Australia in 2014. The certification course was held in Ft. Lauderdale, FL. I was also approved by the ICC and Cricket Australia as a Coach Education Course Facilitator and have conducted several Level 1 course certification programs, and been a part of Level 2 coaching courses as a facilitator in the USA. I was also part of the USA Olympic Committee NGB Coach Education Seminar at the Olympic Training Center, Colorado Springs, CO in 2017. I have been fortunate to be involved in the USA Cricket National set up as the Assistant Coach for USA Senior Men’s Cricket Team in 2016, Head Coach for USA Women’s Cricket Team from 2016-2018 and have also been involved in the National Cricket Combines in 2016 and 2018. I was also fortunate to spend some time in Australia in early 2018 as part of a Professional Coach Development Program. I spent some time with the Australia Under-19 Team, Perth Scorchers and Sydney Thunders in the Men’s and Women’s Big Bash League respectively. During that visit, I was part of the Cricket Australia Rookie Under-17 (Boys) camp and witnessed the National Under-15 (Girls) Championship. Most recently, I was the Head Coach for Delhi State Under-23 Men’s cricket team in the just concluded 2018-19 Board of Control for Cricket in India (BCCI) domestic season, where Delhi State emerged as runners-up in the Under-23 One-Day championship. Q. How do you plan on improving as a coach from year to year? A. I actually feel I can improve as a coach each time I coach, right from preparing for a particular session or a match/series to actually going through it and then, most importantly, analyzing/reviewing how I did, what I could have done better. Also, observing other coaches/professionals (not just from within cricket but also from other sports), it really helps in the learning process. However, I feel having an open mind is the key. Q. How do you spend your time away from coaching cricket? A. I have a full-time professional job in Information Technology (IT), and I really am fortunate to have a lovely family (parents, my wife, brother and his family, and two precious daughters). I really look forward to and love spending time with my two daughters (an 8-year-old and 3-year-old). I also like listening to music. Q. As the former USA National Women’s Head Coach, how has that experience prepared you for this new stint as the National Under-19 Head Coach? A. Being the Team USA Women’s Head Coach was an incredible experience for me. It was great learning over the two years (2016-18). It was my first time being a National Coach, and I feel honored for that. I was able to envision and introduce several new cricketing and cultural dimensions in how we went about our cricket. It was reflected in the positive cricket our Women played in Trinidad, England, Scotland, and most impressively in Australia. We have a very talented and committed group of players in our National women’s squad. My goal was to create an environment of high performance, with the players continually challenging themselves and most importantly enjoying the sport and looking forward to more challenges. I also learned several positive lessons which helped me develop self-belief and the temperament required in handling a National Team, as a Head Coach. Q. What are the three most important traits you look for in an Under-19 cricketer? A. I wish you had asked for five traits… (With a smile :). Assuming the Under-19 cricketer has the basic cricketing skills and knowledge of the game, the three most critical characteristics that I look for are, enthusiasm, desire/hunger, and team spirit. I firmly believe, with those traits a player has the character and potential to accomplish the desired impact in a team setting. Q. 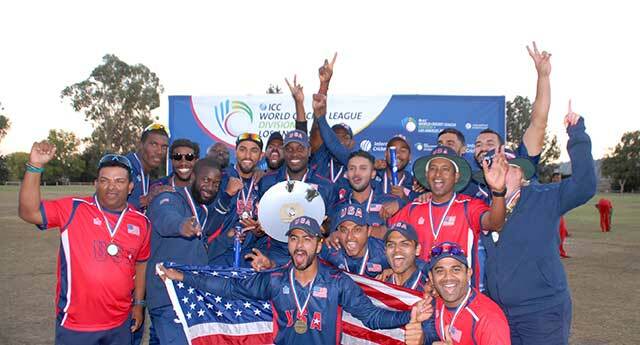 You were part of the USA National Men’s team set up, what are their chances in the upcoming ICC Cricket World Cricket League Division 2? A. I feel the current USA Men’s Cricket Team is a very well rounded team with experienced players who put Team USA ahead of themselves. Credit goes to Coach Pubudu in leading and guiding this group of incredibly talented cricketers. Also, credit to the National Selectors for picking the team on merit and as per the best combinations. The USA Cricket administration has done really well in providing excellent opportunities for Team USA to prepare for the upcoming Division 2 series, and this is reflected in our Senior Men’s Team outstanding performances on the recently concluded UAE Tour. I have no doubt, if this team plays anywhere close to its real potential as a cohesive unit, we will be champions in the upcoming Division 2 and the USA being elevated to One Day International (ODI) status. This will be a massive boost for USA Cricket overall, and further, it will be an accurate reflection of the hard work that Coach Pubudu and the Team has put in, during the last year or so. I wish Coach Pubudu and Team USA Men all the very best!